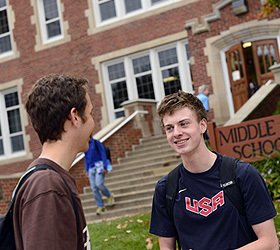 For more than 110 years, The Blake School and its predecessors — Northrop Collegiate School (1900), Blake School (1907), and Highcroft Country Day School (1958) — have provided excellent education for students in the Twin Cities area. In the early 20th century, a small group of families who wanted to prepare their children for schools in the East founded Blake (for boys) and Northrop (for girls) in Minneapolis. Migration to the Minneapolis suburbs led to the 1958 incorporation of Highcroft, a co-ed elementary school in Wayzata. The three schools merged to become The Blake School(s) in 1974. Founded in 1900 as Graham Hall, the school provided the opportunity for girls to continue their studies through their second year of college. In 1914 a group of Minneapolis leaders purchased Graham Hall and incorporated the school as Northrop Collegiate School. It was named in honor of Cyrus Northrop, president of the University of Minnesota from 1885 to 1911. Dr. Northrop spoke at the 1917 opening ceremony for the school's new building in Minneapolis, which currently houses Blake's Upper School. In 1907 William McKendree Blake established the Blake School as a preparatory school for boys. Three years later, Charles C. Bovey asked 16 local business leaders to contribute $2,500 each toward Blake's first capital drive. These original guarantors hired Charles B. Newton to replace William Blake as headmaster in 1911. The pooled resources enabled construction of a new building in Hopkins in 1912, current home to Blake's Middle School and one of the two Lower School campuses. Highcroft Country Day School was founded in 1958 as an independent, non-sectarian, co-educational kindergarten-through-ninth-grade institution. 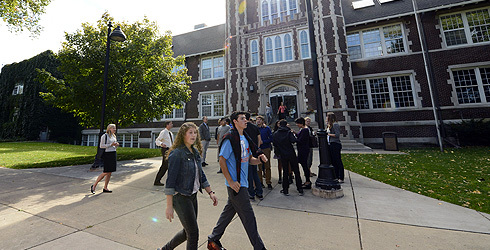 Located in Wayzata, Highcroft was designed to provide an exceptional education for students in the western suburbs of the Twin Cities. Highcroft's current building was constructed in 1960 on land donated to the school, which had been part of the Highcroft estate. 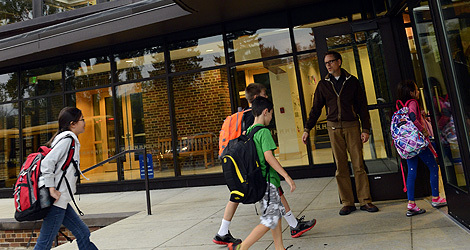 Today, Highcroft is home to one of Blake's two Lower School campuses.